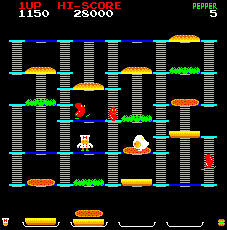 Burger Time is a cracking arcade game. I spent countless hours playing this in my younger days. The pace and difficulty curve is set just right.